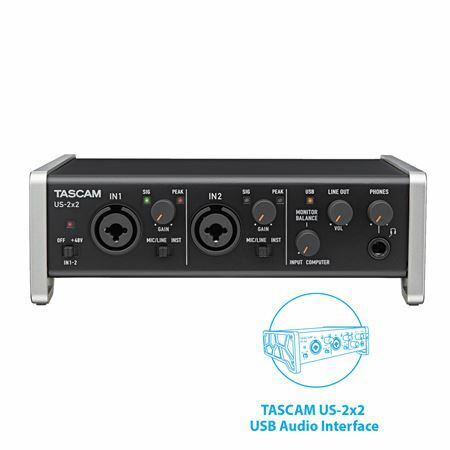 Shop TASCAM TF-2X2 Trackpack 2x2 Recording Package USB 2 With Software from AMS with 0% Interest Payment Plans and Free Shipping. Includes Computer with Windows 10, Audio Interface, Mic + Headphones Bundle! 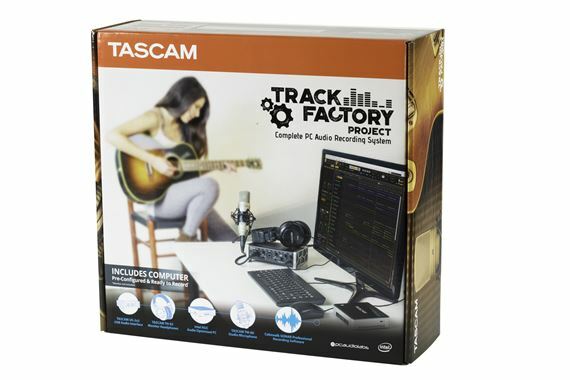 Plug in and record with the TASCAM Track Factory complete PC audio recording system. Easily work on a session with friends and fellow musicians to record, edit and mix pro audio for music, film and TV. 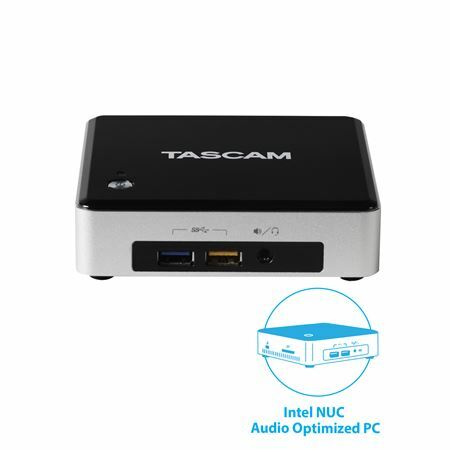 A complete, preconfigured, Studio-in-a-Box, TASCAM Track Factory Project features an Intel NUC PC pre-loaded with Cakewalk SONAR Professional Recording Software, a TASCAM US-2x2 USB Audio Interface, TASCAM TH-02 headphones and a TASCAM TM-80 Condenser Microphone. With solid audio specs, flexible connectivity, and an easy-to-use angled design, the US-2x2 is the ultimate 2 channel interface for home and project studios. To ensure sonic clarity, the US-2x2 features dual TASCAM Ultra-HDDA mic/line preamps, providing up to 57dB of gain with incredibly low noise, as well as NE5532 op-amps for rich, uncolored sound capture. The US-2x2 also features comprehensive connectivity options for easy integration of your existing gear. Designed for both recording and mixing, these closed-back headphones provide excellent sound isolation and audio performance, with a remarkably flat frequency response curve spanning 18Hz – 22kHz. 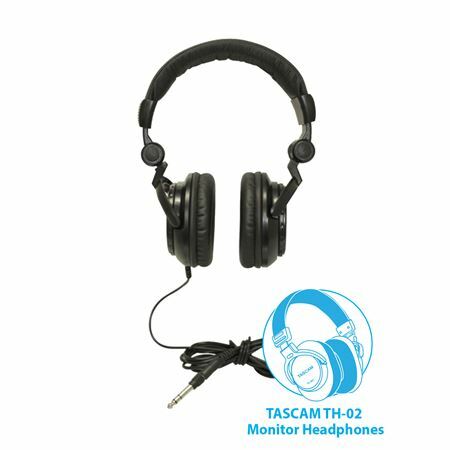 Coupled with a foldable design and padded headband, the TASCAM TH-02 are the perfect recording headphones in the studio or on the road. 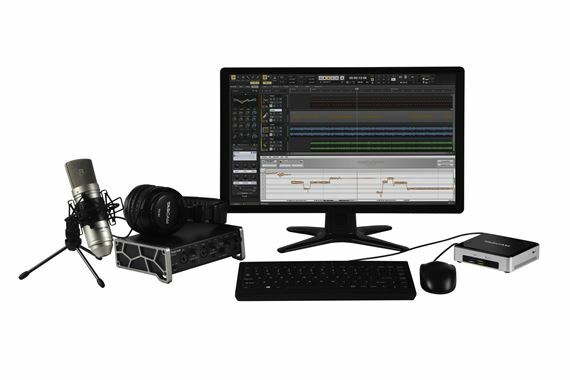 This powerful Audio Production PC features an Intel® i5processor and Microsoft Windows 10 Home edition, and has been fully optimized for digital multitrack recording and editing. 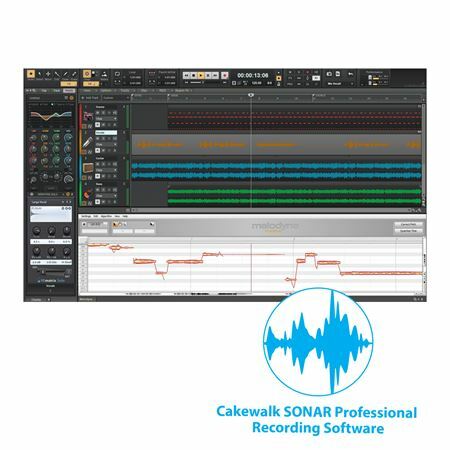 Hand selected hardware components, an expertly streamlined OS and – most importantly – a completely pre-configured installation of Cakewalk® SONAR Professional combine to deliver a truly Ready-to-Record solution. Professional quality medium-condenser microphone designed to capture both vocal and instrumental performances. 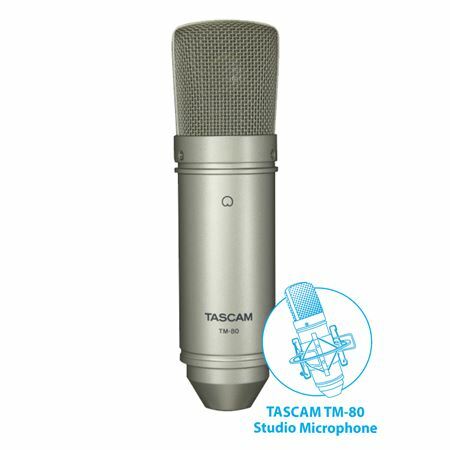 To ensure that you are up and recording in seconds,the TM-80 microphone kit also includes an XLR cable, desktop stand, and shock-resistant suspension mount. SONAR Professional is equipped with advanced technology, effortless workflow, and an interface that amplifies inspiration. It features a full set of studio quality effects and virtual instruments, along with unlimited Audio, MIDI, and Instrument tracks. SONAR Professional comes with everything you'll need at your disposal to record, edit, and mix. My daughter loves it she writes her own songs. You made her dreams come true. For the money spent,it would have been nice to add an hdmi/vga adapter for your monitor.